I've mentioned before I'm terrible at keeping up with FB groups especially fan ones. I really don't fangirl over brands, so I'm not heavily invested in groups. I love a few brands and I'm their groups, but I don't keep up with them daily. It's something I should really try to work on because I could easily miss out on group customs like this Different Dimension one I have for you today. Thankfully, I was on top of this one and was able to snag it! 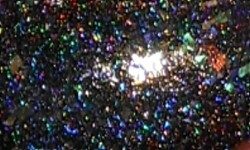 Magic Mirror is black linear holo with iridescent color shifting flakes. Color: Holos are very common place these days, so I like when brands add some magic to their holos. This is exactly what was done with Magic Mirror. It starts out with a superb black holo, but it has these beautiful iridescent color flakes added in that give this polish some added dimension. It's stunning! Price: N/A. This was group custom that is no longer available. If you love Different Dimension, so I highly recommend joining the FB group so you don't miss out on future ones. Overall: Magic Mirror is a stunner. I love the complexity of this shade. I adore Different Dimension altogether. 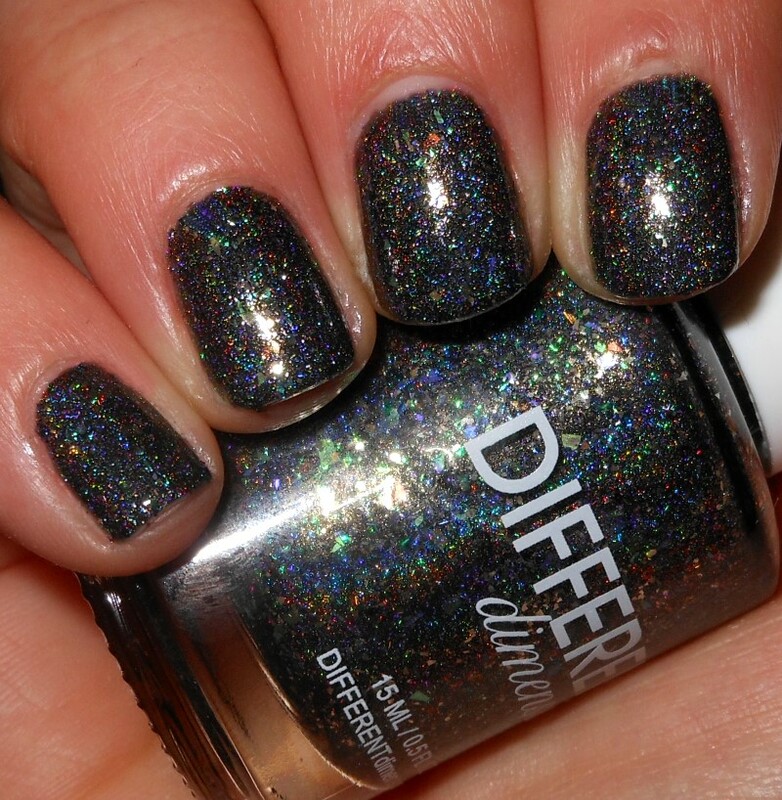 If you're a fan of holos with added pizzazz and bling Different Dimension is definitely the brand for you.